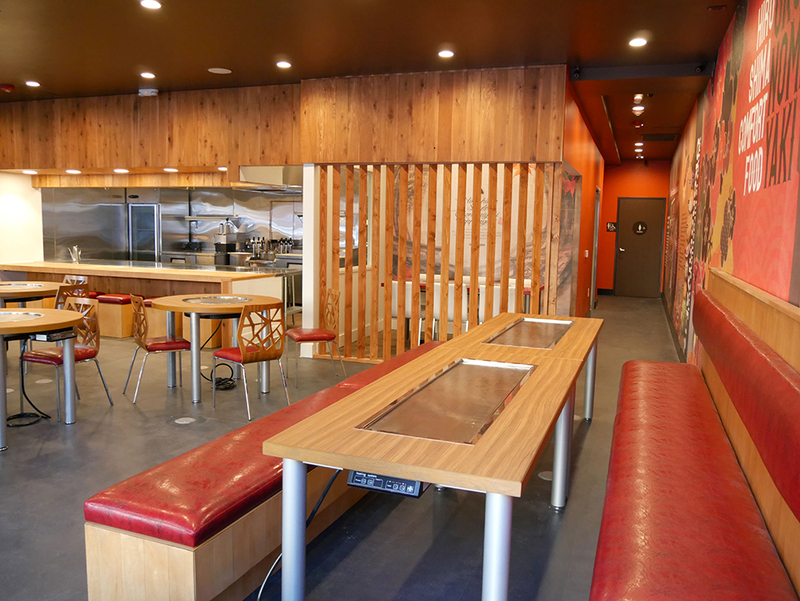 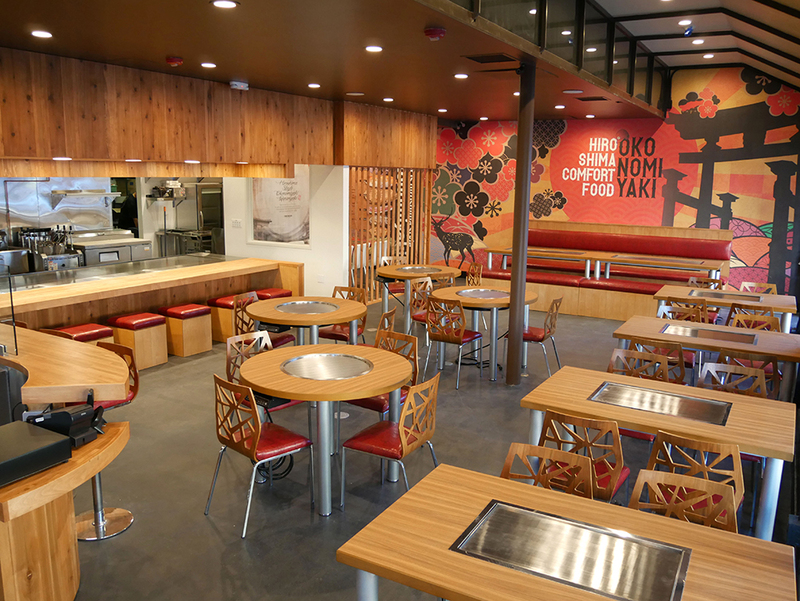 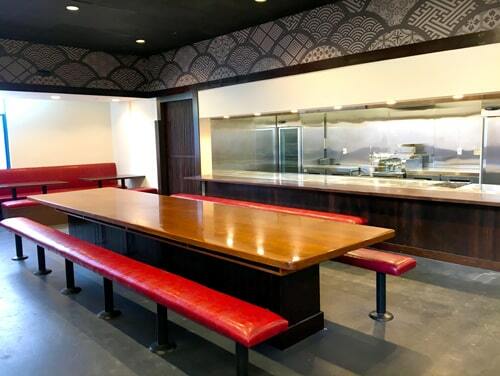 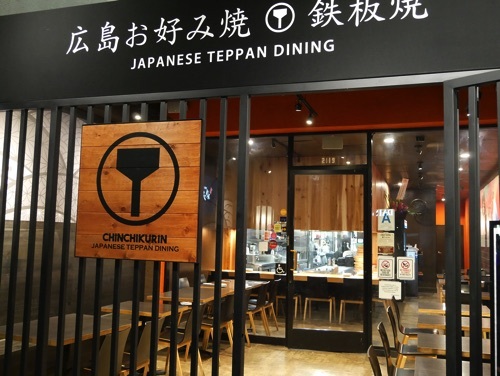 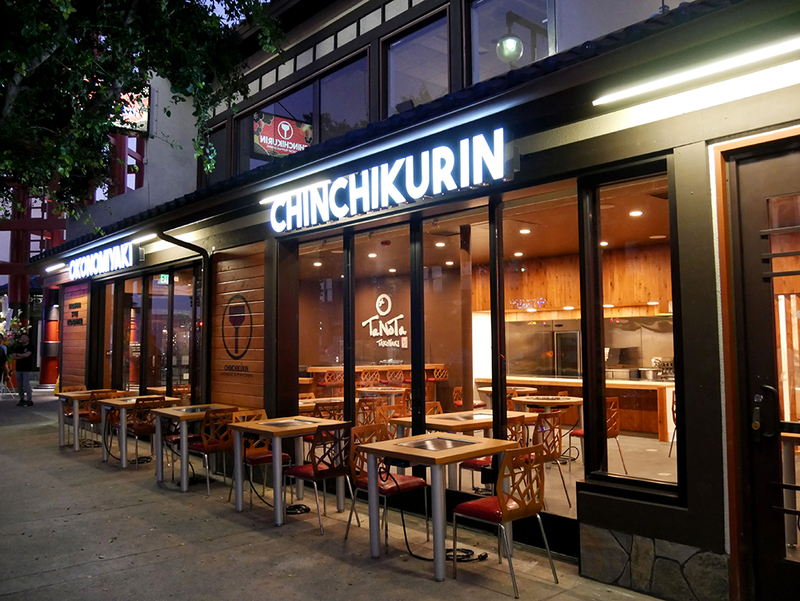 Chinchikurin chose the strong Japanese community of Torrance, CA to open its third restaurant. 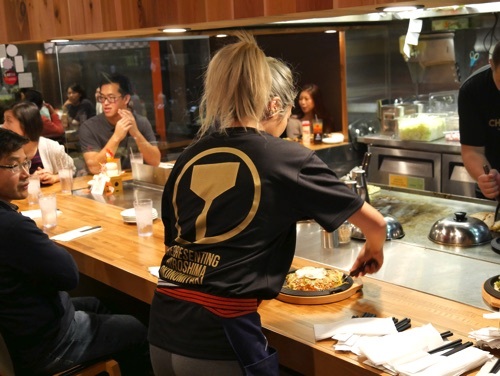 Chinchikurin Torrance adds another dimension to the robust Japanese community of restaurants with its savory okonomiyaki. 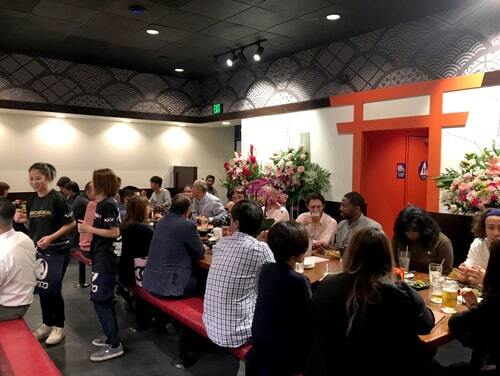 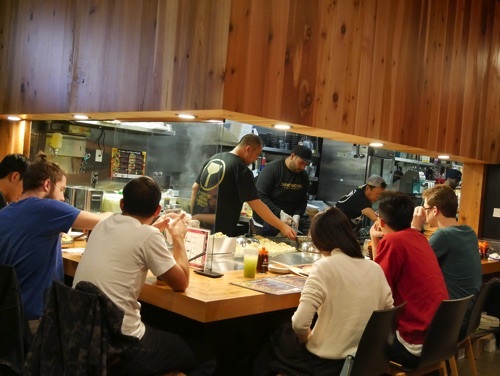 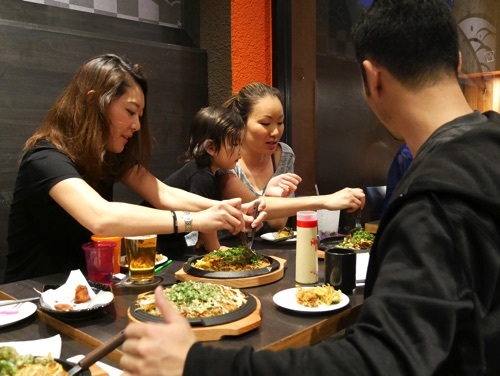 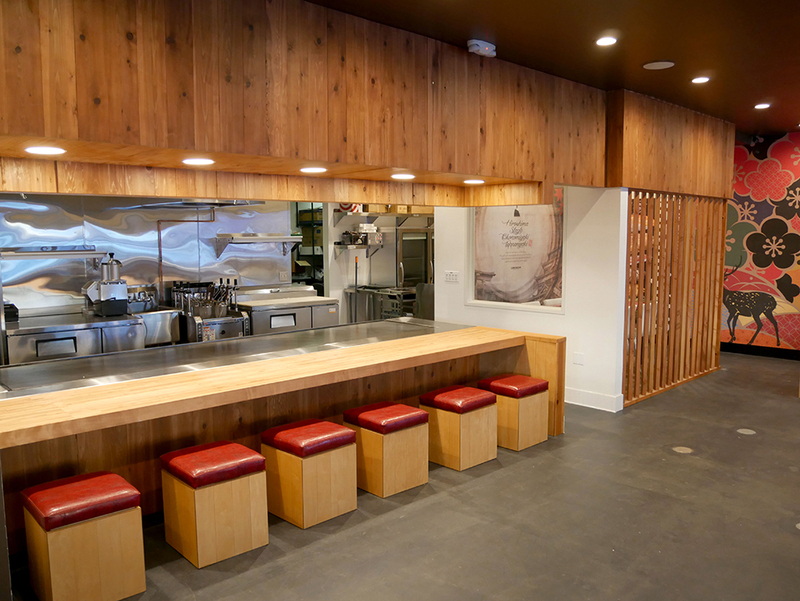 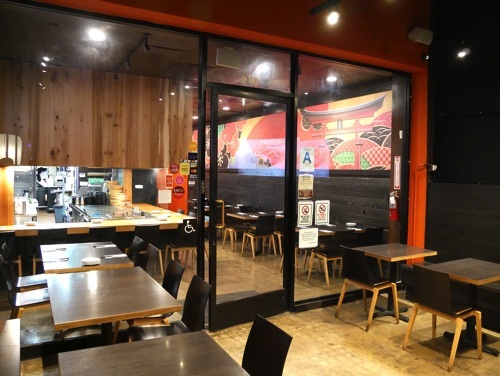 However, unlike its first two locations, CCR-Torrance is using its traditional Japanese menu which focuses on both Hiroshima and local ingredients influenced izakaya dishes. 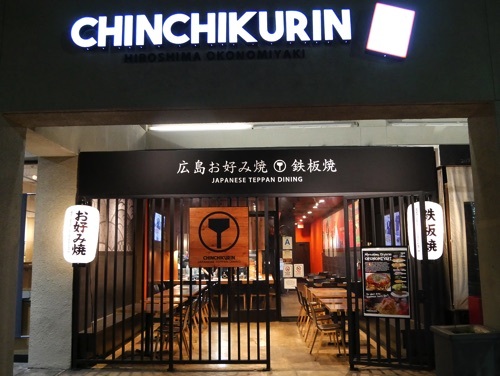 Chinchikurin-Little Tokyo is located at the entryway of the heart of the historic Little Tokyo district of Los Angeles. 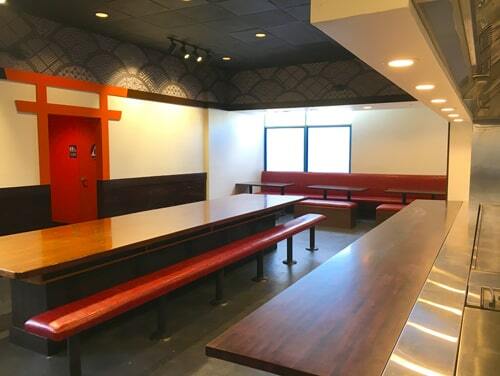 This redesigned facility boasts original wall art to create a fun, vibrant dining experience for the 70 seat dining area. 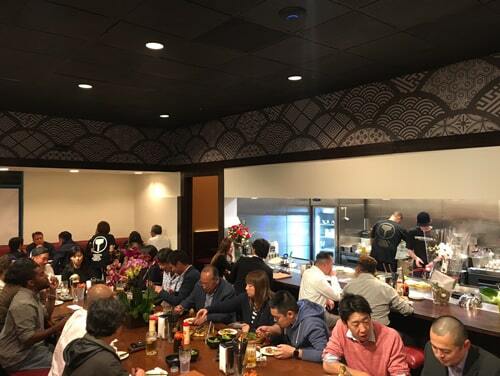 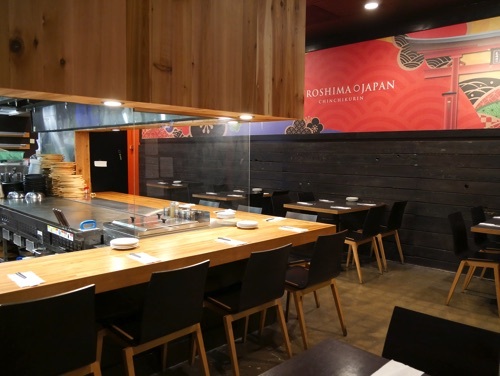 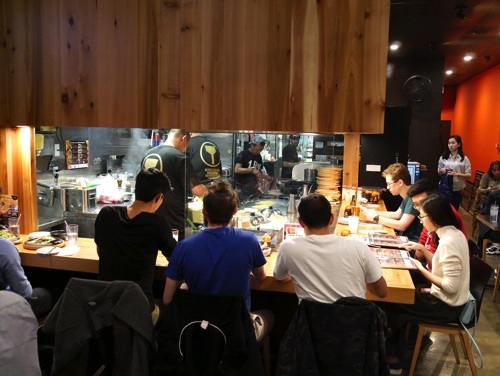 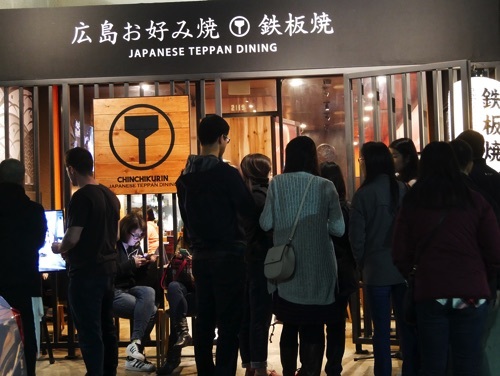 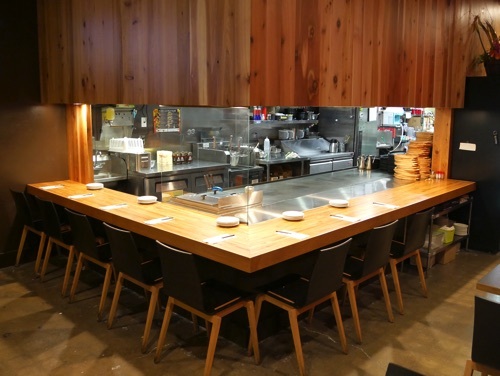 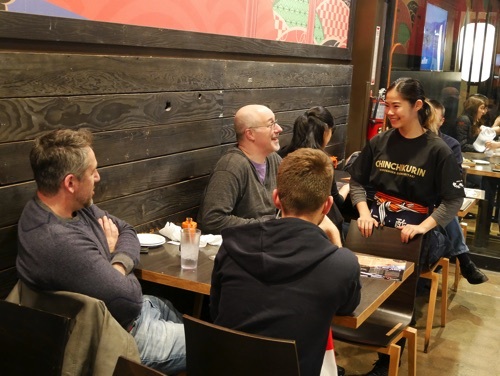 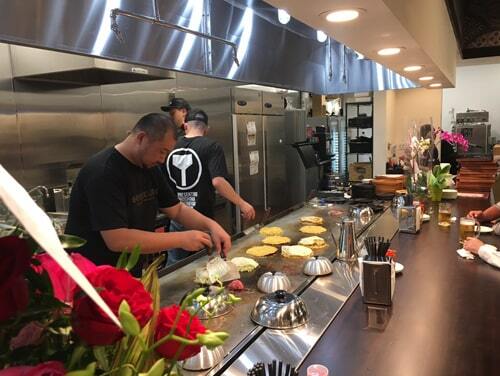 Equipped with a first of its kind teppan warming tables in the USA, diners are able to experience the typical dining experience for patrons in Chinchikurin's hometown of Hiroshima. 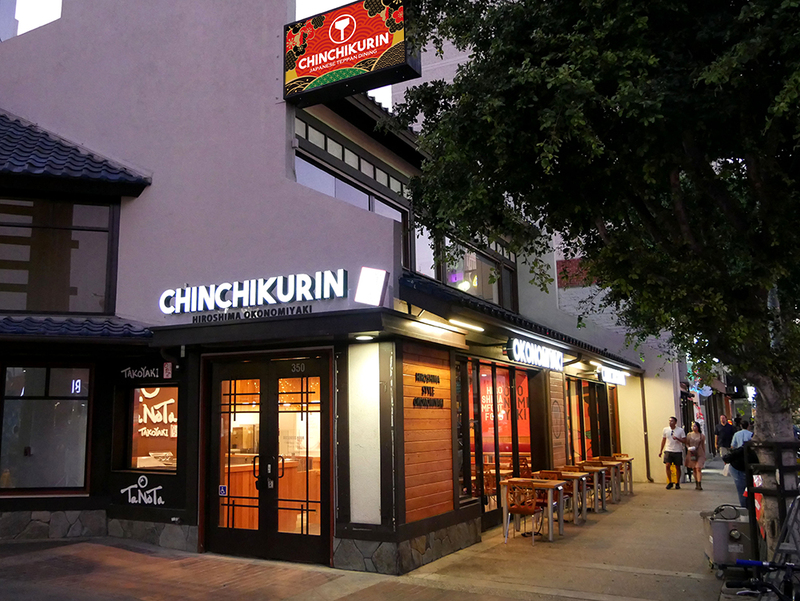 Chinchikurin’s first US location is situated in the bustling enclave of West LA’s Sawtelle/Little Osaka area. 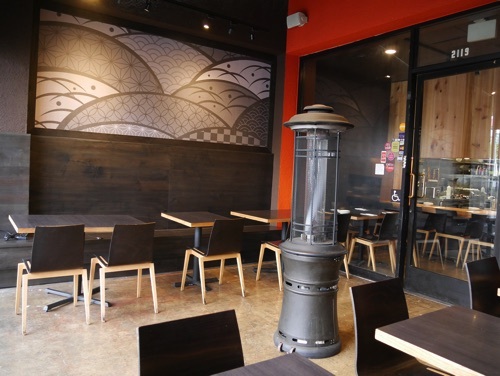 Bringing in various elements of Japanese design, Chinchikurin-Sawtelle has various design elements reminiscent of both Hiroshima and Japan. 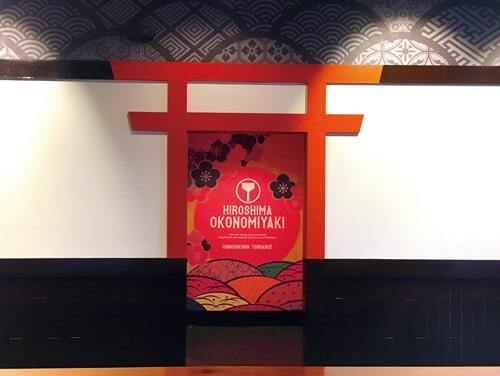 The mural in the main dining area depicts the Miyajima Gate, Japan’s famous Fuji-san, as well as traditional Japanese patterns. 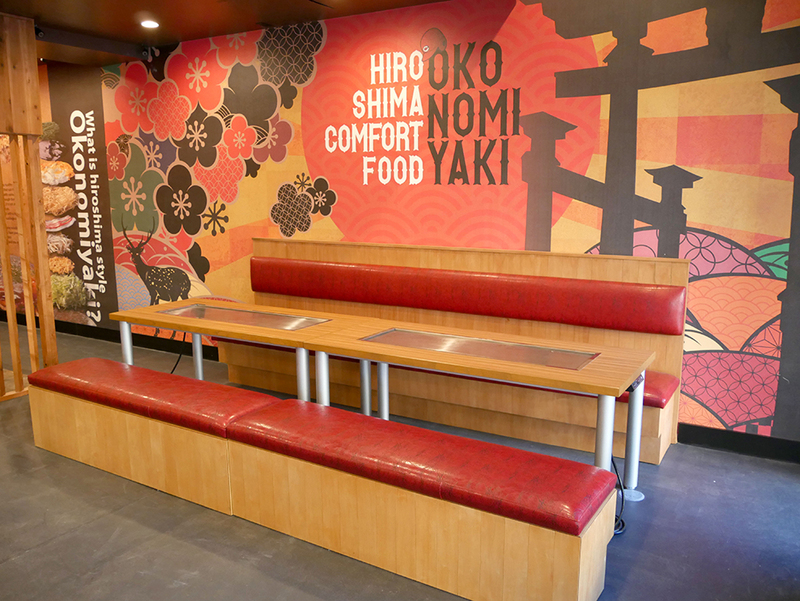 Smaller murals in the patio dining area as well as the back wall (facing the men’s bathroom) reflect other types of popular Japanese design patterns.